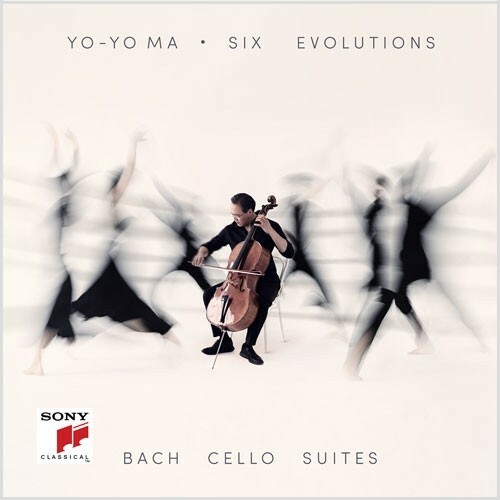 Sony Classical is proud to announce the release of Yo-Yo Ma's album Six Evolutions – Bach Cello Suites, his third and final recording of these works. Bach and his Cellos Suites entered Yo-Yo Ma's life when he was four, when he learned the first measure of the Prelude to Suite No. 1 under his father's instruction. Ma has never lost his initial fascination. "Bach's Cello Suites have been my constant musical companions," Ma writes of the music. "For almost six decades, they have given me sustenance, comfort and joy during times of stress, celebration and loss. What power does this music possess that even today, after three hundred years, it continues to help us navigate through troubled times?" Six Evolutions – Bach: Cello Suites does not only offer an essential encapsulation of what this music means now to one of the world's most celebrated artists, it begins a new chapter in the cellist's 58-year relationship with this music. Yo-Yo Ma has won 18 Grammy Awards and sold over 7 million albums in the U.S.